In some fields, the deeper you get into them, the more the field seems to approach spirituality. A perfect example of this is science. No doubt, there’s already plenty written about the convergence of science and spirituality, especially if you take a walk through the “self-help” section of a bookstore. And that’s not to detract from it. For some, reading about science and spirituality in this way is very helpful. Today, I wanted to share with you another one of those science and spirituality convergences, but from someone I didn’t expect: Neil deGrasse Tyson. (Note: when I first watched the video, I didn’t realize that deGrasse Tyson has actually written a fair amount about spirituality and science.) Below, I’ve included a video set to start at the 6:20 mark. Watch the next minute or so of the video, as deGrasse Tyson takes us on a quick journey from the beginning of time to the present and through it, connects the dots between us and the beginning of time. I totally understand that people have different views on science, spirituality, and religiosity, but it always gives me pause for reflection when it can be so well articulated that there’s this connection between us and the beginning of time. From the video, we can conclude that we are made of the universe, so “technically,” we are the universe discovering itself. You probably already knew that, but I find that every one and awhile, it helps to be reminded of things like this as it may help to put a current problem in perspective. Watching a video like this also reminds antiquity. In particular, places like ancient Greece where it might have been more common to sit around and think about the things that deGrasse Tyson talked about in the video. But I wonder… was it? If we think about our world today, the percentage of people who have time to sit around and think about things like those in ancient Greece did is probably not very high, but maybe that was also the case back then. Maybe there weren’t that many people who were sitting around and pontificating on the nature of life. Maybe I’ve just got a glorified view of the “intellectuals” from that time period, but I wonder how different our Western culture would be today, if we had more time to sit around and think ponder the ‘meaning of life.’ Don’t get me wrong, I understand that time to think is a luxury that not all of us enjoy (and if you’re reading this, you’re probably one of the lucky ones for which time to think is a luxury), but in thinking about our consumeristic ways, part of me wonders how different we could be in a world where we pursued knowledge and not stuff. 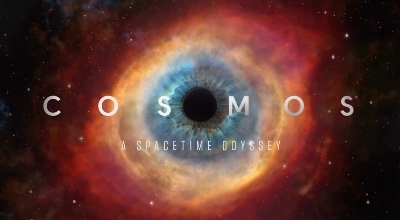 For the last couple of months on Sunday nights, Fox has been airing a documentary that will probably be watched in science classes across America (when there’s a substitute teacher or otherwise) — Cosmos: A Spacetime Odyssey. Among other things, the show has taken the viewer on a journey back to the beginning of time. In one of the more recent episodes, host Neil deGrasse Tyson explained to viewers how we’ve come to know the age of the Earth. In short, this came as a result of the work of scientist Clair Patterson. As a result of Patterson’s journey to determine the age of the Earth, he discovered some alarming findings related to the presence of lead in the environment. Through testing, he determined that the amount of lead in the environment wasn’t naturally occurring and concluded that the increased presence of lead near the ocean surface had to be man-made. He then was able to determine that this increase in lead in the oceans was because of leaded gasoline. You’d think that a discovery like this would be well-received by those with influence. Unfortunately, that wasn’t the case. At the time, there was a scientist “on the other side” of the debate who had published claims long ago that leaded gasoline was “safe.” In fact, one scientist in particular, Robert A. Kehoe. Why is this scientist significant? Because he was funded by the very people who were benefitting from the sale of leaded gasoline — oil companies. My point isn’t to vilify Kehoe or extol Patterson. Instead, I want to highlight the fact that despite Kehoe was a scientist with credentials, at the time, it wasn’t always clear when he was speaking on matters related to leaded gasoline that he was being funded by oil companies. That is, he failed to disclose a potential conflict of interest. This scenario perfectly illustrates the importance of disclosing conflicts of interest. If one’s funding is coming from the very industry that one is studying, then it’s important to disclose that. As an example: if you’re a chemist and you’re doing research on tobacco and you’re funded by Marlboro (or some cleverly named organization that represents a number of tobacco companies), there’s a better chance than not that your funders might not be pleased if your findings reflect “negatively” on their business.